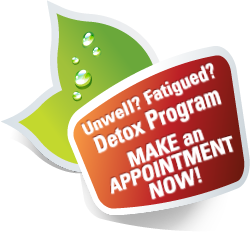 Need useful advice from an expert Naturopath? With natural medicine the patient is never alienated from the disease and is in fact an important part of the healing process whereby his/her “vital forces” within are harnessed in an effort to overcome the disease and promote a true and lasting wellness. The emphasis is on a holistic approach to illness and we are very interested in listening to what and how the patient feels as well as his/her clinical symptoms. This is from a true-hearted natural Naturopath here in Adelaide, South Australia as nature was meant to be. Practitioners at our clinic have completed indepth studies at college and university level with knowledge of mainstream medicine & natural treatments in the fields of Pathophysiology, Microbiology, Nutrition and Nutritional Biochemistry in the heart of Adelaide. We utilize blood analysis, iridology, nutrition, herbal medicine, homoeopathy, nutritional supplements, and kinesiology to name but a few, in formulating a personalised natural treatment plan. The use of mainstream laboratory test results is beneficial to verify a diagnosis as well as in monitoring the progress being made in Adelaide. It must also be remembered that as a general rule how a body feels can be a useful guide as to how well or badly it is functioning within. Many chronic diseases are multifactorial in origin and in your quest for wellness you will need to take some personal responsibility in terms of changes to your lifestyle, diet, nutrition and attitude in life. Chris Raybould is of the opinion that a holistic approach to health care involving main stream medicine as well as Natural Medicine optimises not only the treatment of disease but ultimately the cure and more importantly the prevention of disease in the first place. 7 Tips to Feeling Boundless Energy FREE! Your local caring Adelaide Naturopath. Please refer to our Blog for up-to-date naturopathic information.